Fans are a totally surprised package for the stars sometimes and we have heard several incidents of fans that even threatens the stars. Even in Shah Rukh Khan starrer film Fan, we have seen how a crazy fan can harm the stars. Now something same happened with Varun Dhawan in a recent incident. A fan reached to Varun Dhawan's house and created a scene there, she even threatens to kill Varun's girlfriend Natasha. The fan was so aggressive that Varun Dhawan had to call local police to handle the case. One source from the security team of Varun Dhawan quoted in Mid Day, "There was a female fan, who was doing the rounds of his house for a long time. We are used to such things and on most occasions, the fans are sweet and never cross their limits. Varun sir usually obliges their selfie requests, if he is available. But, he is currently pressed for time and is juggling too many things. She was waiting for a couple of hours. Sir came late and she was insisting that she meet him then and there. He was pretty tired from the day's work and wanted to rest. She refused to leave and got into a squabble. Initially, she said she will hurt herself. When the security still didn't get her through to Varun sir, she threw a fit. She kept mumbling how she will harm Natasha ma'am." This really shocked the star and he asked the security guards to the complaint about the fan. Varun Dhawan in the FIR registered his statement. "It was alarming for us because usually, fans don't get so aggressive. We informed Varun sir, who panicked. She kept saying, 'I will kill Natasha.' After the woman refused to leave even after 45 minutes, we had to call the local police station", the source added. 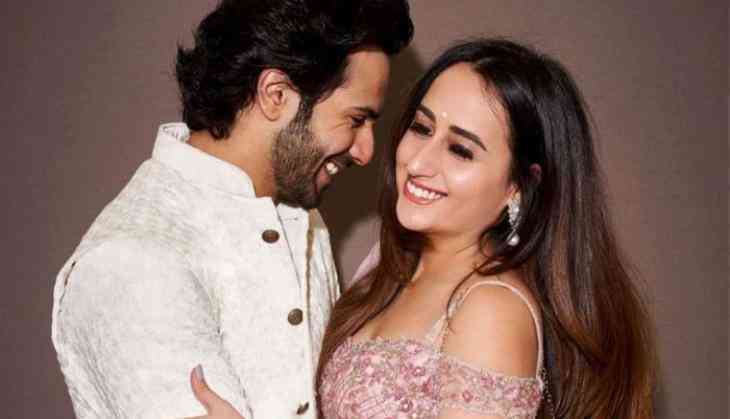 On the professional front, Varun Dhawan is busy in the promotions of his next film Kalank, starring alongside Alia Bhatt, Aditya Roy Kapur, Sonakshi Sinha, Sanjay Dutt, Madhuri Dixit, Kunal Kemu in the leading roles. The film is going to release on 17th April 2019.